December is upon us again and I haven't done any Christmas shopping yet ........ yikes! I used to have all my shopping done by October when I lived in Connecticut cuz you never knew if a snowstorm was going to hit or who knows what, to ruin shopping plans. Anyways, that's the thing about Florida's warm weather, it's hard to get into the Christmas spirit, but we do get it together and enjoy shopping at the area malls without worrying about snow! 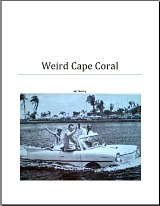 This month I built some pages about three Cape Coral happenings, Captiva and Sanibel beaches, and I got started building more pages about area car dealerships. 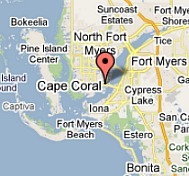 If you haven't been to Cape Coral Bike Night yet, it's quite the experience, I've never seen so many motorcycles! Bike Nights are usually the second Saturday in October, December, February, and April from 5-10PM and I think it's fun to go even though I'm not into bikes. There's live music, vendors, food, and motorcycle games, all on SW 47th Terrace. Restaurants along 47th get in the groove with their own live music and dinner specials. 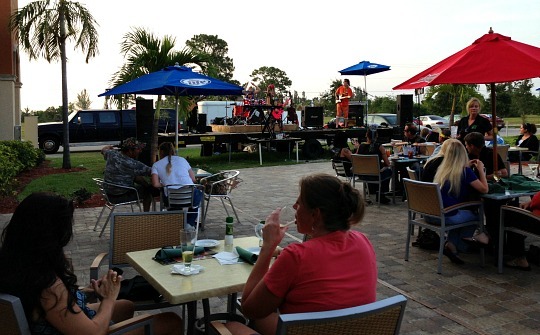 Cape Coral Parkway Nights just started this year in October and occur on the third Friday during season. It's a way to get people downtown to bring business to Cape Coral Parkway merchants. Happening from 6-9PM, this party has entertainment, art, food, music, and other kinds of festivities. The Craft and Cuisine Cooking Demo has returned to Marker 92 at Marina Village Resort. New chef, Drew Tait, is cooking up a storm and teaching about some delicious dishes on second Tuesdays of the month. He is full of tips and information and you get a great lunch for only $25. 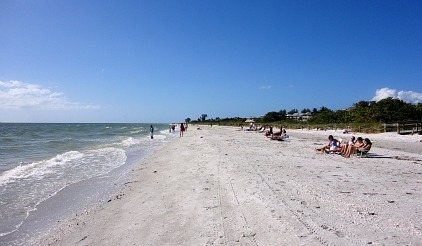 Aaaaaaaaaahhhhhhh ........... Sanibel Beaches. What can I say? I just love it there. Such nice white sand, the Gulf waters are such a pretty color, all the shells, very peaceful and relaxing. 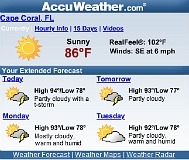 And, Captiva Beaches are just as nice too. 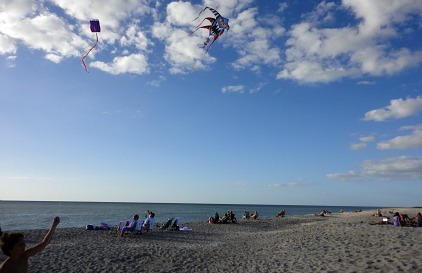 We try to get there early, hit Sanibel first, then go to Captiva to watch the sun set, which is amazing! Don't forget a picnic, or plan to go to one of either island's restaurants. Check out both pages for lots of photos and videos. 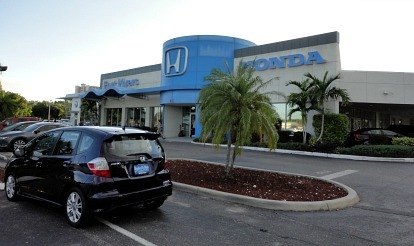 I love my Honda and since the Cape Doesn't have a Honda dealership, I go to Honda of Fort Myers. I get great service there, everyone is really nice, and we got a really good deal for my oldest daughter's car. If you in Cape Coral for December, the Christmas Tree Lighting Festival is coming up on Sat, Dec 3rd, from 4-10PM on Cape Coral Parkway. The Festival of Wreaths and Sunset Celebration is at Yacht Club Beach on Wed, Dec 7th from 5ish - 8ish. The Christmas Boat-Along Parade is on Sun, Dec 18th, and Santa Land comes to Sunsplash on Dec 20 and 21. I don't have pages up yet for these events but I will, cuz we're going ......... can't wait! 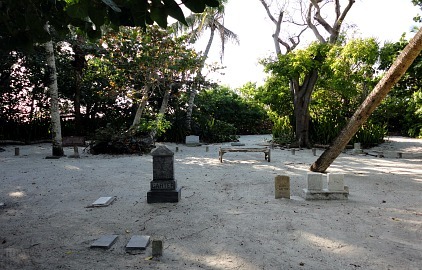 When we went to Captiva last weekend, we went to Chapel by the Sea and there was this little graveyard right in the sand. Some of the stones were from the early 1900's, one was even from the Civil War! 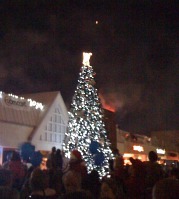 I know this isn't very Christmasy, but it was definitely very cool, you will want to see it some day.